One of America’s first rebel rousers and instigator of the American Revolution, Samuel Adams, was a vocal critic of British policy towards the colonies and its taxation specifically. Adams vehemently opposed Britain’s Stamp Act of 1765 and Adams played a vital part in organizing the original Boston Tea Party, December 16, 1773. Samuel Adams, second cousin to John Adams the country’s 2nd President of the USA, was instrumental to the American independence movement. He was a religious man and fervent revolutionary who would go on to be one of the fifty six signers of the Declaration of Independence. 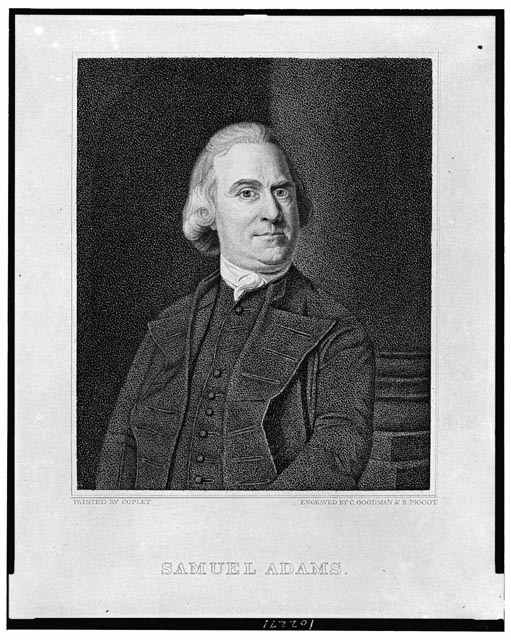 Adams in his political career served as Massachusetts state legislator; delegate to the Continental Congress, and later after the revolutionary war would become governor of Massachusetts. By JJPaladin in History, Politics/Government/Law on April 7, 2014 .